First, I must apologize for the very long delay in communicating with you. I am long overdue in writing my thanks to you for our vacation to Italy last June, 2015. As the anniversary of that special trip approaches, I think of you and the special care you took in helping create it. Every single detail was perfect, and the entire trip went smoothly, without a hitch. It was a wonderful experience for our family of four to create awesome memories, which have buoyed us repeatedly in the time since. My husband, the skeptic, did indeed enjoy the trip immeasurably. All of the contacts we made, the transfers, the lodging, meals, and tours and guides were fantastic. Your invaluable advice ensured a perfect experience. 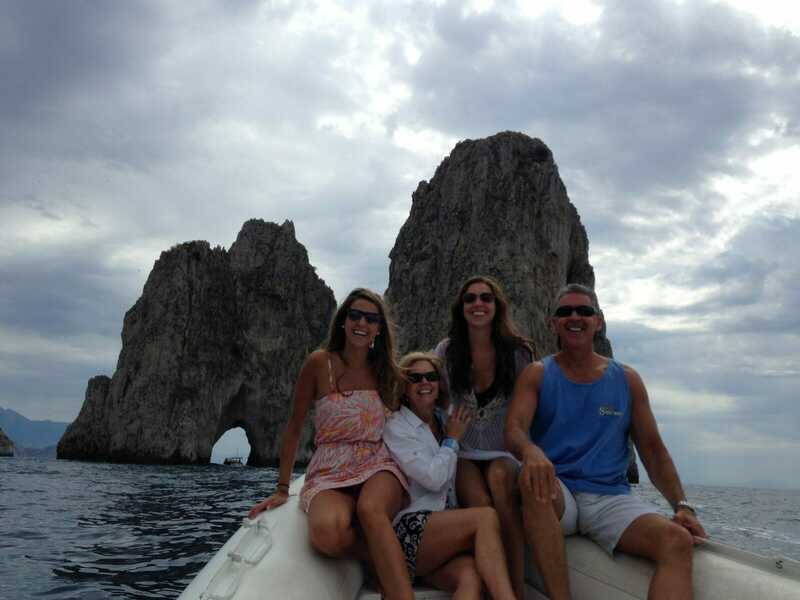 Attached is a photo of the four of us off the cost of Sorrento, where we rented a private boat with captain to explore the coast and around Capri. As you can see, we are all enjoying the experience immensely. Once again, thanks so much for the time, energy, and commitment to excellence you exhibited in planning our “dream” vacation.